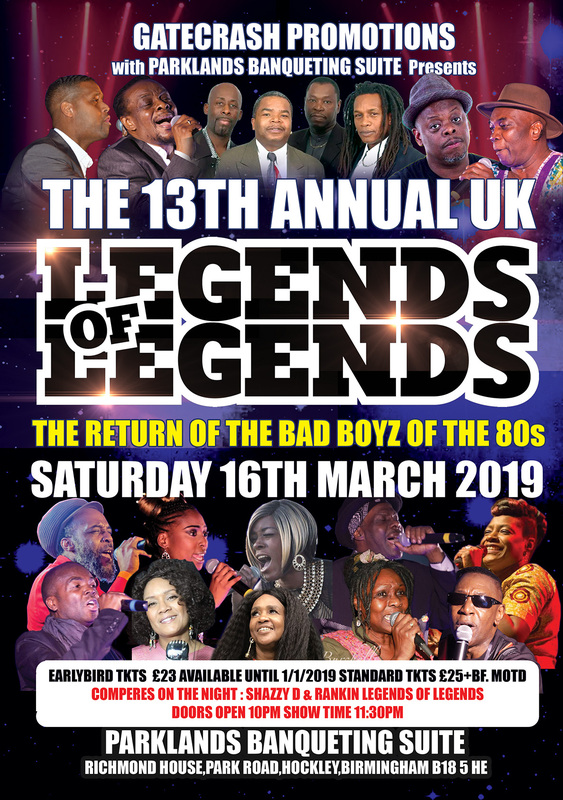 UK Legends of Legends is Birmingham's PREMIER lovers rock showcase that takes place once a year. This event gives us the opportunity to showcase our legendary UK artists and the next generation of young talent, a stage to highlight the hard work they have done over the years.The event is supported by fans from all around the UK and Europe. If you've not been before why not join this rapidly growing premier event. Love and respect to everyone from around the UK and Europe who have supported this event for the past 12 years. We look forward to your continued support in 2019. Bless love from UK Legends of Legends team. Special guest artists & DJ's Passing through on the night. All Playing on The Fatal Attaction sound System.